Rented Dec2019 to Apr2020. 3-bed, 2-bath, 1,950 SF home on large, prime corner lot with plenty of sunshine, open space & mountain views! Recent major remodel with new cabinets, appliances, bedroom carpeting, granite counters, tile floors. Living room & kitchen open to expansive patio views. Separate formal dining room. Master suite has two closets: a walk-in for clothes & golf gear and another for tennis wear & sun hats! Sunny guest rooms, too. Yard features newly re-landscaped desert oasis! Entertainment options from multiple spots. BBQ for casual outdoor dining. Located in Laguna De La Paz, a beautiful 24/7 guard-gated community, this one offers a multi-acre lake with electric pontoon & paddle boats, catch-&-release fishing, plus 15 pools, 16 spas, 5 tennis courts, 2 bocce ball courts, workout room, saunas, and much more! Walking, hiking and biking options! 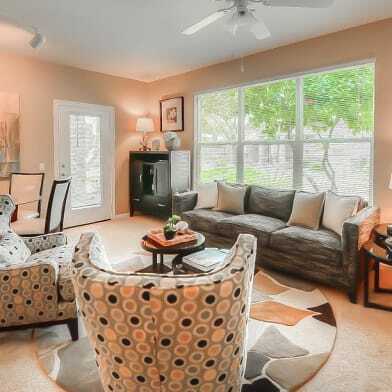 Close to Old Town, medical facilities, shopping, dining, movie theater & PGA golf. Have a question for 48635 Calle Esperanza?